Amazing and look so natural! Absolutely love these nails! Firstly I am usually rubbish at getting nails on with glue and normally make a mess, I was surprised at how easily they went on and effortlessly done In less than ten minutes. Adore the colour and have been complimented on how natural they look I was asked had a got my nails done to which I replied they are actually elegant touch false nails they were so amazed just like me! So many fabulous colours to choose from and will be using them again soon they stay on so ... read more much longer than other false nails iv used! So worth 5 huge stars! 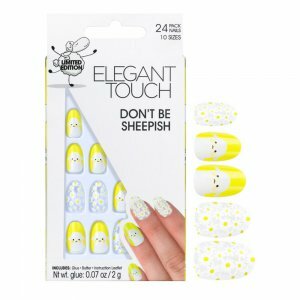 These nails are a limited edition so a must have for anyone who likes to experiment with nails. They are part of the After Dark range so you know that they are perfect for a night on the town! These nails are a deep ruby red colour and in a glossy finish. I love the coffin shape, it adds to the glamour. 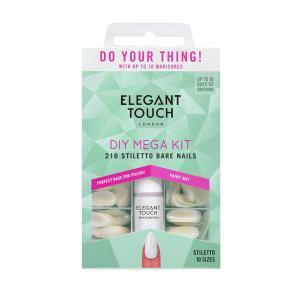 The nails are quick and easy to apply, you just stick them on with the glue provided and the whole process should take you less then 10 minutes. Gorgeous, glamorous nails in an instant! I wore these to add a bit of sparkle on New Years' Eve and they're SO glittery! Being silver, they go with almost any outfit, and the shape is on point - who doesn't want glittery claws? The glue is the stickiest I've ever used, which could be good or bad depending on how you look at it. They were almost impossible to get off no matter what I used, but at least that made them long lasting? 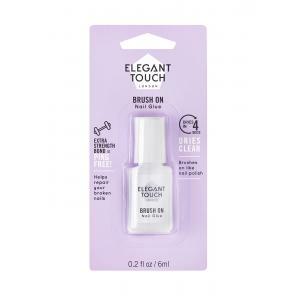 :) I'd definitely use Elegant Touch again and would happily repurchase the same design. So pretty! These nails are so pretty and I got so many compliments on them, wore them for going out with! Only thing was that the glitter came off quite easily after the first day, which meant i ended up seeing the base of the nail more than the glitter, so if i was to use these again I would have to put a coat of clear varnish over the top to stop this happening again. 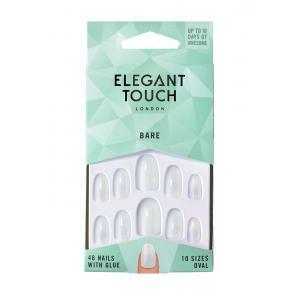 I was given these incredible coffin shaped natural nails from Elegant touch. 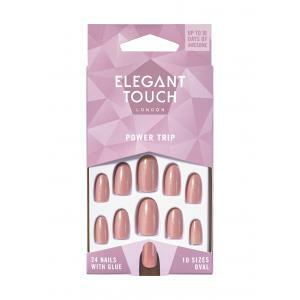 I have to say these have been my favorite shape nails just for the reason they are so comfortable to wear they felt natural on and not too long, I painted mine as I needed them to look as professional and groomed for work I found the colour lasted very well on top of the nails and looked completely natural you could not tell these were false nails. 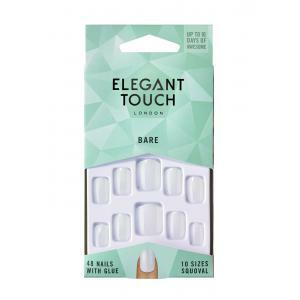 I would recommend to anyone who wants long wearing false nails that you ... read more can paint yourself and with the added bonus it's a very versatile shape and on trend too. These nails were easy to apply and looked beautiful on my fingers.but I noticed few of my nails stared to wobble when I washed my hand.so I had to pull the nails off completly.I have been using Elegant touch nails for months now and I have never had any problems before..so there must haven been something wrong with the glue.but i should mention my nails looked fantastic and recieved lots of compliments.. 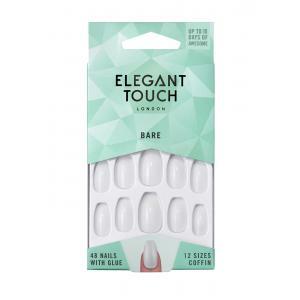 I usually have trouble finding nails that are suitable for work as we are not allowed very vibrant colours and I don't like natural nails , so when I found these I thought they look like they could be what I need! I was so happy with them , they last up to 10days are flexible and comfortable and more than that , my manager complimented them and said they were perfect for work!! The glitter is not too outrageous and gives a little sparkle when needed and everyone's who sees them compliment me ... read more on them and ask where I got them ! 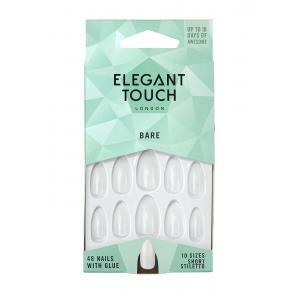 Application took less than 5 minutes as you pop the glue straight onto your own nail rather than fiddling about with each individual false nail. The glue dries white if you get it on your skin and it took a good scrub to get rid of, so be careful! The length of these particular nails, for me, are fantastic. They're no longer than my own and so nothing feels obvious. 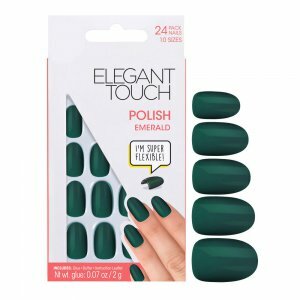 I can open cans of pop and type on my phone without even thinking about the fact I'm wearing false nails, yet I have all of the ... read more polished finish that I crave. Had them on for 2 days so far, no signs of letting up as yet. So these were a bit disappointing on the colour. They were darker than i had originally thought which is a shame. Nether the less , the are totally practical! As a working mum of 2 these are great for adding a splash of colour whilst having nails which i can take on the world with! 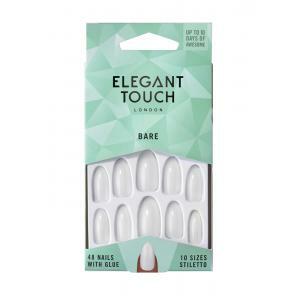 Perfect sizes for my nails which made it so quick and easy to apply. Although the colour let me down a bit i still rated these 4/5 respectfully. I love having my nails done by as a mother of 2 I don't often find the time to go to the salon to get them done. I've tried many different nails in the past but found most to be difficult to apply but not these. Not only do they look really pretty and fantastic on. They were easy to apply and lasted ages. Even with two toddlers to look after. These nails are really pretty, they're not the style I would normally pick as they're a bit too barbie camouflage however I would try them for a night out to make a slight statement with my outfit. I also know a lot of girls who would kill for a nails with this design.